Wife of British political leader, Sir Anthony Eden. Conservative member of Parliament (1923-57) and later British Foreign Secretary (1935-38). References to classical and contemporary Surrealism pervade The Goddessesseries of society beauties transformed into Green and Roman Goddesses, which Yevonde began in 1935. 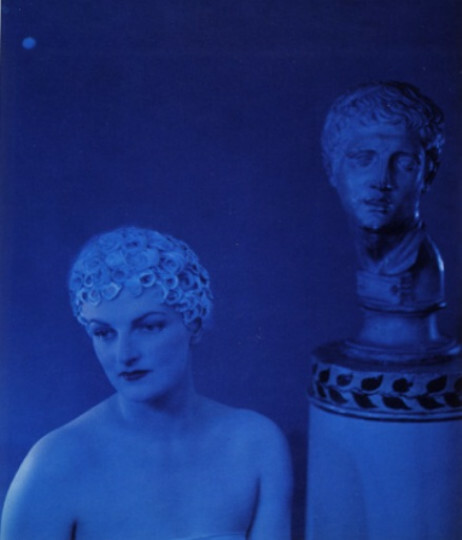 Whilst claiming in her autobiography, In Camera, that her inspiration for the series derived solely from the 18th century painters’ idea of depicting beauties as Greek Goddess, it would appear that the its immediate impetus came from the ‘Olympian Ball’ held at Claridges hotel in London in March 1935.